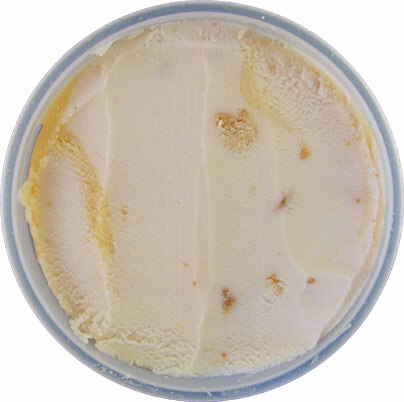 [By Nick] Time to take a look at the last flavor from my free shipment of Steve's ice cream. I've been split on my opinion of Steve's. While I thought Salty Caramel and BKLYN Blackout were average, I absolutely loved both Strawberry Ricotta and Sunday Morning. My expectations for this one are also pretty split. 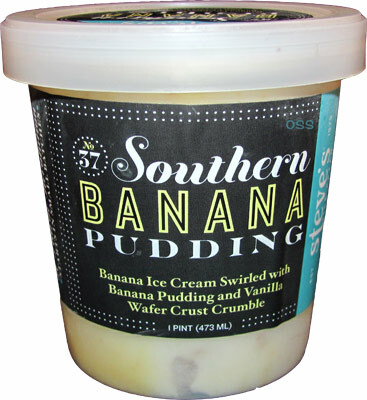 While I love a good homemade banana pudding, banana flavors are always hit and miss for me. 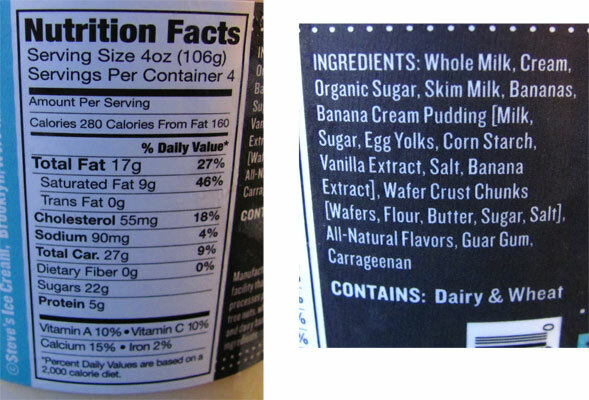 After my experience with the pudding in BKLYN, I'm not too sure how the banana pudding swirled into this flavor will fair either. At least there are vanilla wafers which are one of the most underused/appreciated mix-ins I know of. Let's crack this baby open and see what we have going on. There’s really nothing out of the ordinary here. There's a good view of the pudding swirl which looks to actually protrude into the base and there's also little bit of wafer crust about. The banana base isn't as strong as I was expecting to be. Thankfully the flavor is neither artificial nor overripe, which have been the downfall of so many banana bases. What you get is a nice mild, natural taste almost on par with a freshly made banana milkshake. The pudding isn't icy here which I'm going to attribute to it being mixed throughout the ice cream and not contained to the sides in my pint of BKLYN Blackout. These swirls are stronger in flavor than the base but once again taste very natural. The vanilla wafers bring this flavor together though. 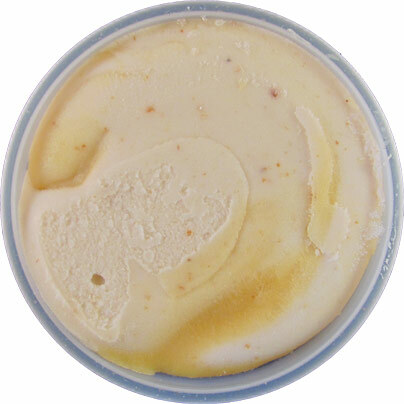 Steve's incorporates a lot of them in various sizes throughout the container. The texture they add keeps you guessing. Some of them are crumbly and soft while others manage to retain that crispy crunch from a fresh cookie. Their flavor really brings this one together. The added bit of vanilla brings out the freshness in the bananas and that milkshake vibe grows stronger. While I wouldn't say this reminded me exactly of banana pudding, it's not that far off when you think about it. This might just be the first banana flavor I haven't absolutely hated or fallen completely in love with. I think the problem for me is that there just isn't enough of the vanilla wafer crust. Amp up the wafer amount and this might fall into my love category. While I did enjoy it, I prefer the combination of chocolate and bananas to that of vanilla and bananas. Still, I would recommend this to anyone looking for a new banana flavor to try. It might not blow me away but I'm sure a few of you might just have a new favorite banana ice cream after you try this one out.